Our reclaimed wide plank Washington Camp consists of a mix of reclaimed hardwood species chosen for their unique color and grain variations. When mixed together, the varying species create a beautiful, one-of-a-kind, antique wide plank floor. Each board will contain its own individual antique characteristics such as nail holes, knots, worm holes, checking and grain variation. 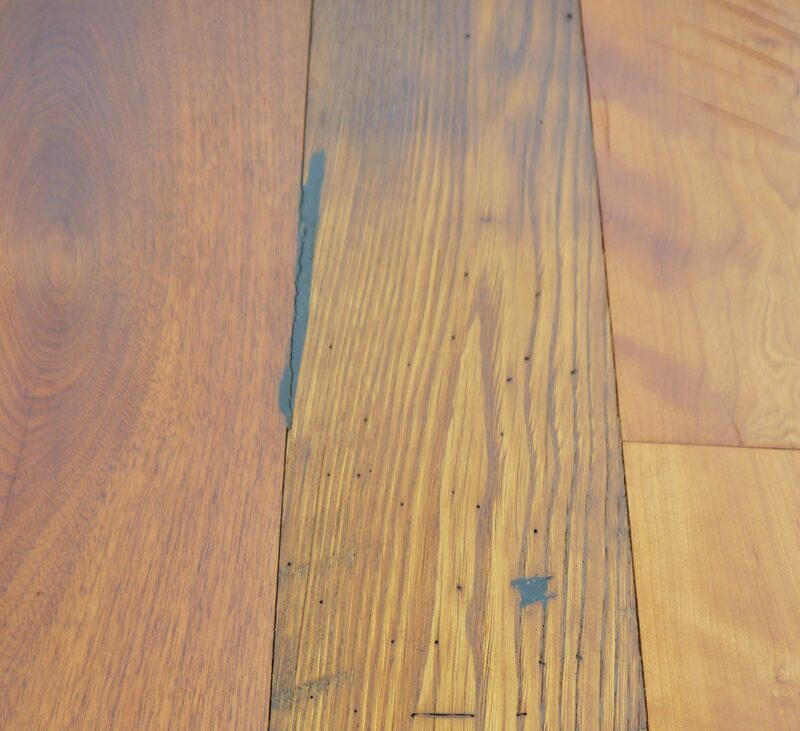 Some natural texture from the original sawing will be present, giving this rustic floor an even more time-worn feel. Finishing with tung oil will enhance the natural beauty. Sawn from antique sleeper beams found in antique dwellings from the mid-Atlantic states, these massive timbers were hewn on top and bottom and left naturally round on the edges. They were the base for most antique structures and many lasted over 200 years before being reclaimed and re-purposed into beautiful antique flooring, tables, mantles and wall paneling.